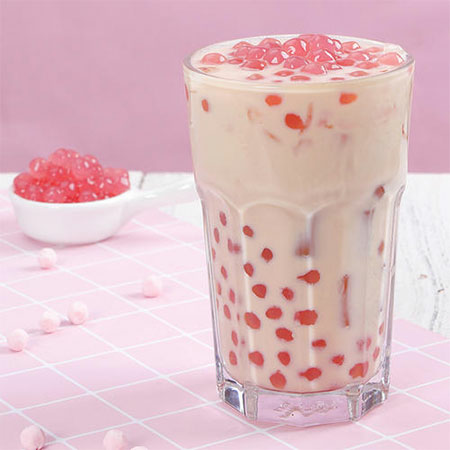 Sunnysyrup Food Co., Ltd. is the leading Taiwan manufacturer, supplier and exporter of Strawberry Tapioca Pearls, which is developed in tandem with the international quality standards. We are best known for satisfying customers with the efficiency and long last lasting ability of our products. The entire attractive range can be availed from us at competitive market prices. If you have any questions or suggestions, please don't hesitate to contact. Strawberry comes with pulp and fiber, strong scent of fruit. Kids and family would prefer to have this fruit and most suitable as a signature flavor. with assured purity at competitive prices. We sincerely welcome domestic and overseas clients' contacting and cooperating with us.